She is also a busy online entrepreneur and creative spirit, an obviously flourishing interior decorator, and a writer and producer of comedic YouTube offerings. Her name is Jennifer, and she seems to embrace a modern life with lots and lots of traditional, down-home style. 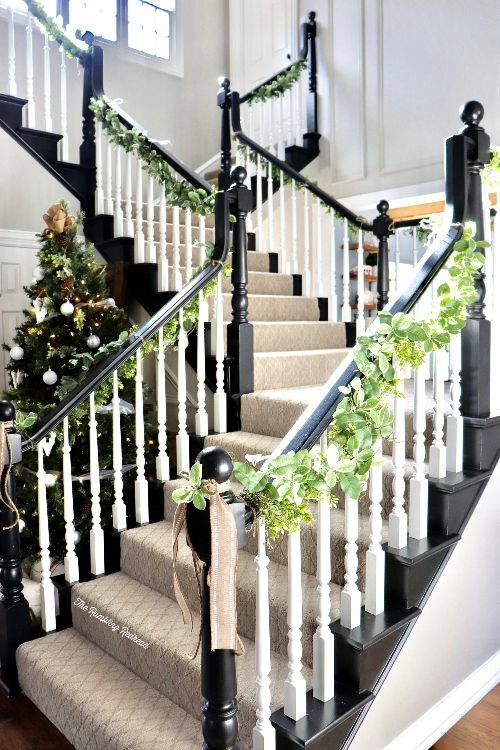 Her home is still bedecked, understandably, with Christmas in mind from the garlands on the staircase banisters to the trees large and small popping up around the house. At times, the house looks like Santa's getaway retreat. 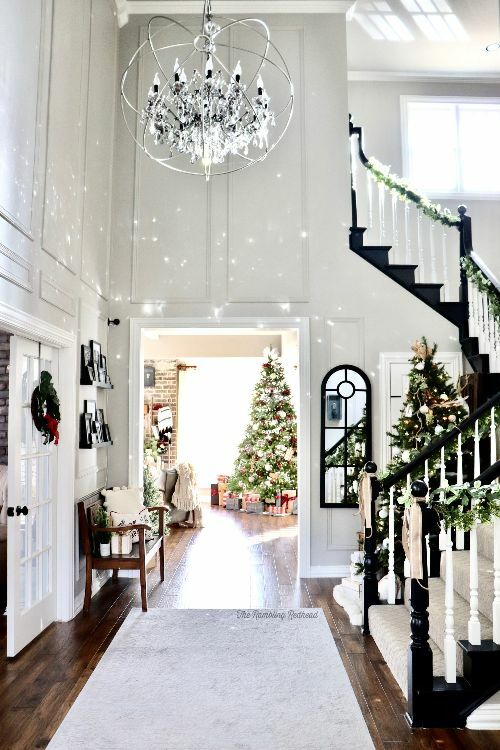 If you can look past all that, you'll see a classic, splendorous home with magnificent staircases, homey hearths, and some funky and exceptional chandeliers. Hope you enjoy your tour! Let's start with the living room. It's large, cozy and lived-in. 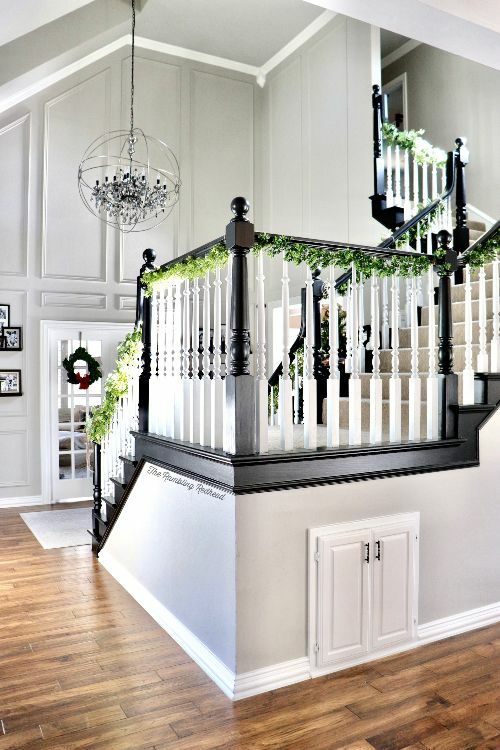 Notice how wide the staircase is. Now that's style! We think it's worth a second look. 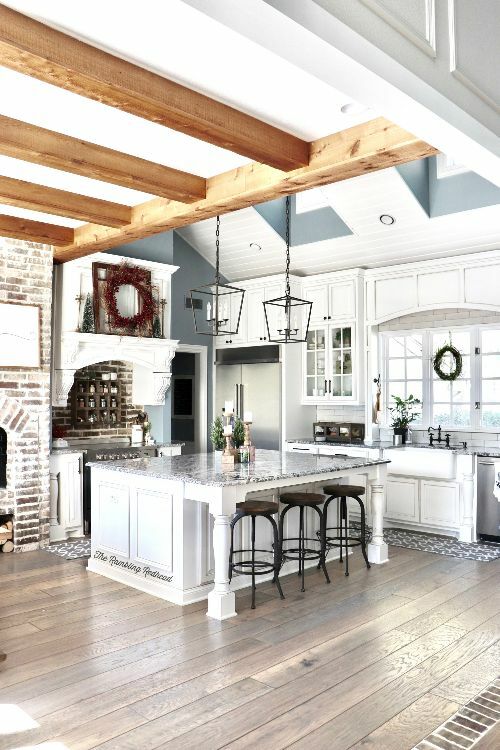 The exposed beams are a great touch, but the marbled top to the table and counter is really eye-catching. 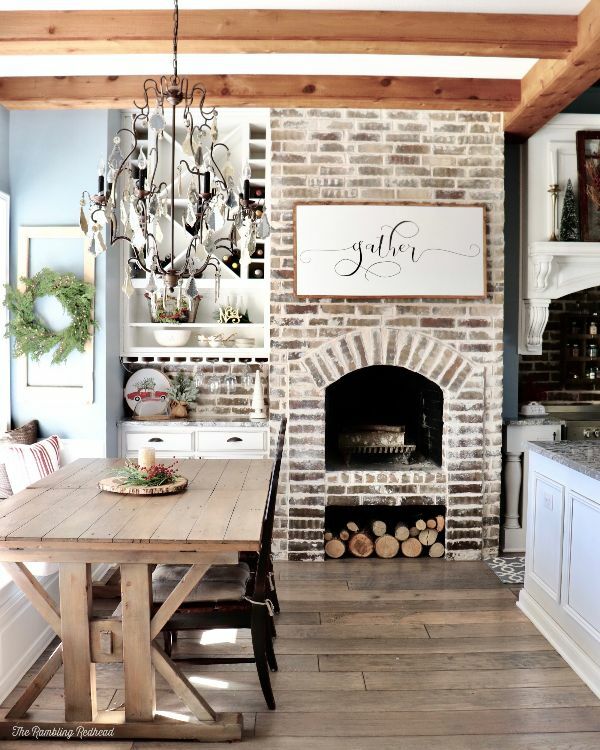 What's a rambling farmhouse without a fireplace? 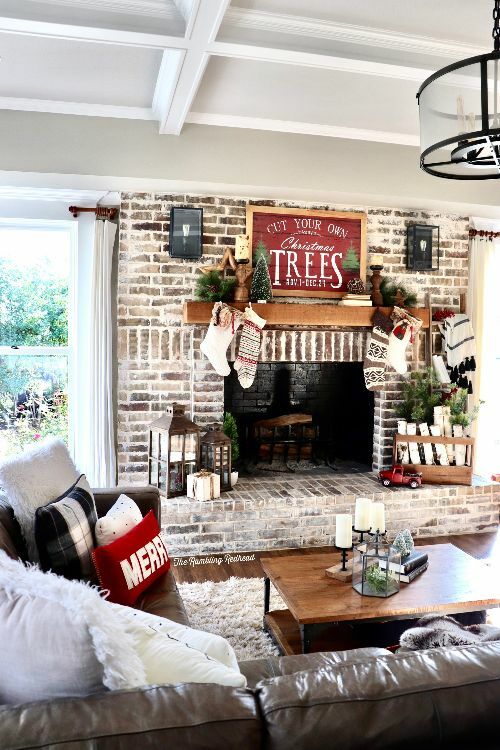 For that matter, how about two fireplaces? 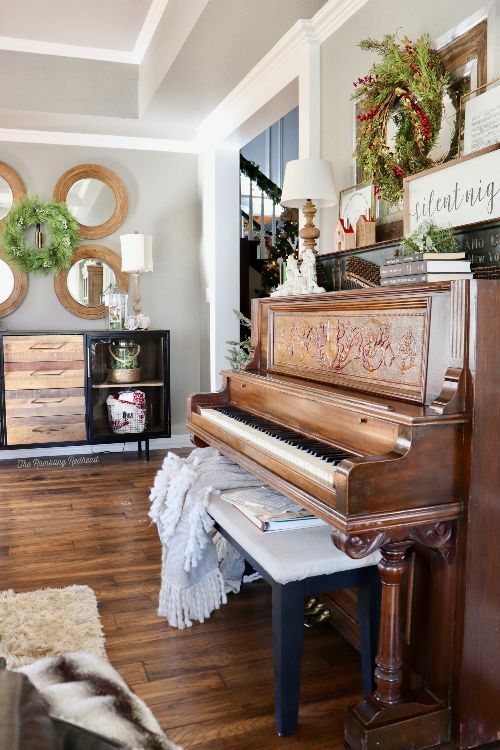 In fact, a truly rambling farmhouse ought to have a piano as well. 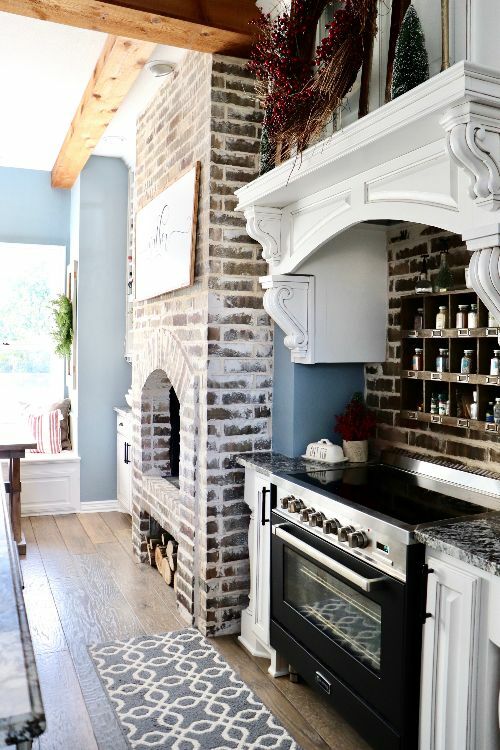 Jennifer calls this her favorite room in the house -- affectionately known as the brick room. 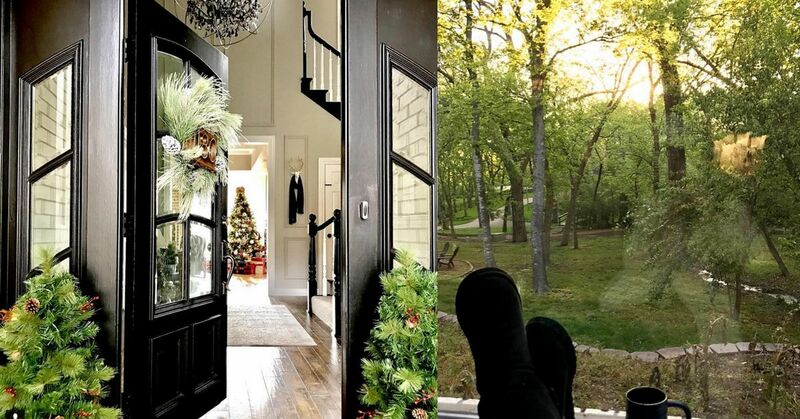 It's a great place for thinking, reading, hiding from someone or maybe talking to the family cat (if there is one). Oh, that reminds me: Jennifer said drop in anytime. There's always room for a guest or two. 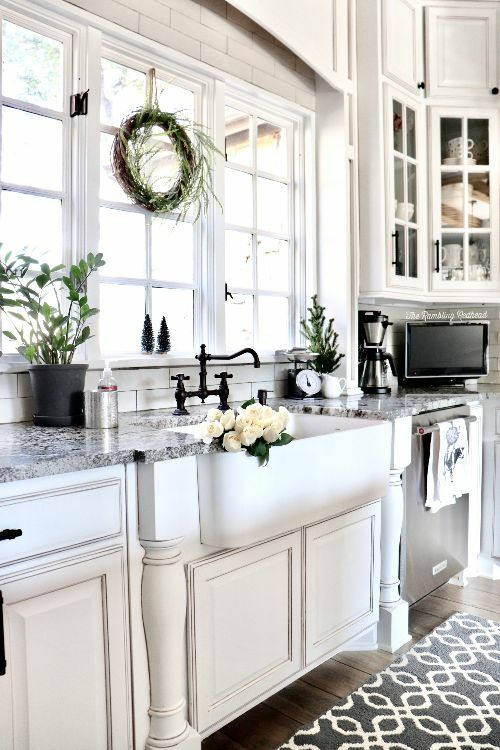 Check out Jennifer’s white farmhouse kitchen renovation and it's true kitchen goals. 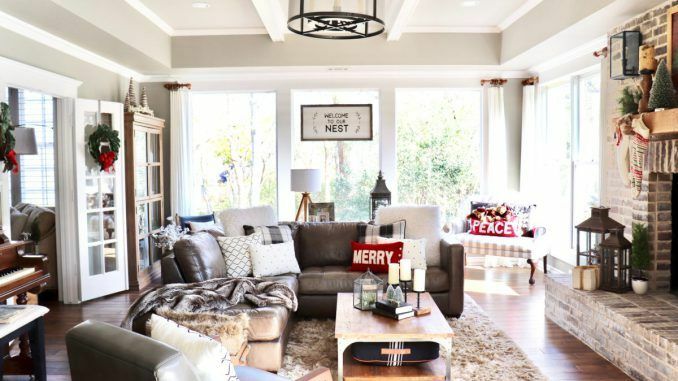 If you are so inspired by her gorgeous home, you need to check out her Instagram -- the photos are stunning! Resources Banner Image Credit, theramblingredhead, and Life as a Rambling Redhead.